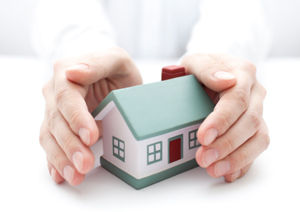 What Drives Homeowners Insurance Costs? Homeowners insurance costs, unlike fair market value or taxable value, are not derived from comparison. If all the values of homes went up in your neighborhood or if a new park was added to the community, the tax value and fair market value would go up, but insurance costs are derived from the cost to rebuild and replace your exact home. In other words, what it would cost to build your home right now at current construction costs completely new, as opposed to the depreciated value of your home, either from market conditions or the fact that your home has been lived in. And with building supply costs on the rise and new building codes in effect to adhere to, it may cost quite a bit more to make your home from new than to sell it, even with the market on the rise. preventing identity theft, check in with Equifax!